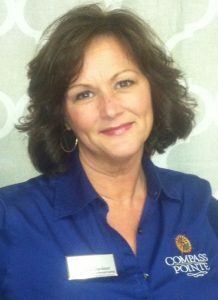 I am Melanie Gardner, the Broker Relations Representative at Compass Pointe. I am a Wilmington native and come from a family that has been involved in real estate since the 1970s. Having been in Real Estate myself since 2005, I strive to treat Brokers the way I would want to be treated when visiting a community. At Compass Pointe, we want to make sure your visit is a most successful and stress-free experience. If there is anything I can do for you or your clients please do not hesitate to call or email me anytime. Compass Pointe welcomes all brokers and your clients to tour with one of our Community Specialists and experience the lifestyle that we offer. We look forward to building enduring relationships with local brokers to enjoy mutually beneficial success. We have a community that will exceed your clients’ expectations and most certainly will make both you and your client happy. 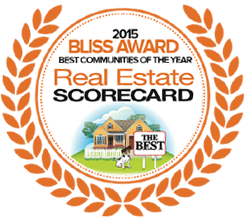 Come out today to see why we were voted 2015’s Happiest Community by Real Estate Scorecard. As you pass through the gate of Compass Pointe, both you and your clients will be amazed by the warm hospitality and sense of community. To begin this journey with your client and earn your co-op commission, we kindly ask that you register your client through our registration form to the right or with our Broker Relations Representative, Melanie Gardner at mg@compasspointenc.com. You will automatically be paid a referral fee if they purchase, as long as they are not working with another broker. If one of the above requirements is met, you will be paid a co-op commission. *Any Buyer Agency Agreement is between you and your client and will not take precedence over the requirements outlined above. Is it ok for a Compass Pointe representative to contact this client?